Can You Sue a Nursing Home for Causing Bedsores? Why Rich & Rich, P.C. How to File a Complaint Against a Doctor? Can You Sue a Nursing Home for Failing to Prevent Bedsores? Nursing homes have a duty to ensure that elderly residents receive the necessary care and services to attain or maintain the highest practicable physical, mental and psychosocial well-being. When nursing homes violate that duty by failing to provide the quality of care that is required, the facility may be held liable for the negligent acts and/or omissions of its personnel which cause injury to residents. A pressure sore (also known as a bedsore, pressure ulcer, decubitus ulcer) occurs when continuous pressure blocks blood flow to the tissue. Bedsores are characterized by stage, and appearances can range from red spots (Stage I) to open sores to full tissue loss — in the most extreme cases, enough tissue loss to leave tendons and bones exposed (Stage IV). Pressure ulcers can take a long time to heal, and the most serious Stage IV ulcers may never heal and can lead to serious infection. Bedsores are usually preventable by getting up, moving around, changing position regularly, and just avoiding constant pressure on the same skin points. If a person is unable to get up and move around on their own, it is the duty of the nursing home personnel to turn and reposition a resident at regularly scheduled intervals to ensure that bedsores do not develop. The presence of bedsores on your loved one in a nursing home may indicate that they are not receiving the quality of care that is required to be provided by the facility. In certain situations, bedsores may be unavoidable due to an individual’s medical condition, but in most cases bedsores are preventable. Nursing homes have a duty to perform an accurate assessment of a resident’s risk for developing bedsores and to implement an appropriate plan of care to prevent a resident who enters a facility without bedsores from developing pressure sores in the first place. In addition to staff turning and repositioning residents at regularly scheduled intervals, a pressure-relieving mattress may also be necessary to prevent bedsores from developing. Special pads may be required to protect bony prominences. It is also important that incontinent residents be changed in a timely manner to prevent skin breakdown from occurring. If a nursing home fails to provide the necessary care and services that are required to prevent bedsores from developing, and/or fails to ensure that a resident who has pressure sores receives the necessary treatment and services to promote healing, prevent infection and prevent new sores from developing, it is an indication that the standard of care has been violated. If a nursing home has failed to provide the necessary care and services to your loved one to prevent bedsores from developing, the facility may be held liable for the negligent acts and/or omissions of its personnel. For help with a nursing home negligence claim, contact Rich & Rich, P.C. online, or schedule your free consultation by calling 347.696.7707. Contact Us Set up a free consultation with us. Truck Accident – Passenger in SUV struck by tractor-trailer that lost control and crossed over concrete barrier on highway suffering a severe traumatic brain injury, coma and multiple fractures. Mediated Settlement – $4,815,000.00. Dental Malpractice – Severed Lingual Nerve during lower wisdom tooth extraction. Permanent neuropathic pain, numbness and loss of taste-Jury Verdict $2,300,035.00. Medical Malpractice – Birth Injury: newborn baby girl suffered hypoxic ischemic encephalopathy during labor and delivery resulting in speech delays. Settlement before trial – $1,500,000.00. 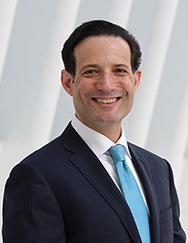 Jeffrey M. Rich is a 1982 graduate of the University of Southern California and a 1985 graduate of Benjamin N. Cardozo School of Law, Yeshiva University. 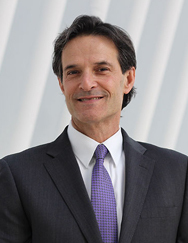 Jeff has 30 years experience as a trial lawyer and is admitted to the Bar in New York and New Jersey. Marc L. Rich obtained his law degree from Brooklyn Law School in 1989. Admitted to the Bar in NY & NJ in 1990. Marc has over 25 years of experience as a trial lawyer and has had great success in many numerous practice areas. March 15, 2018 Can You Sue a Dentist for a Bad Root Canal? February 15, 2018 Can You Sue a Nursing Home for a Fall?